It’s a well known fact to those who live in the north – there are more opportunities here. Not just for well paying jobs and great adventures, but for unsolicited opportunities to get up close and personal with all kinds of interesting folks. I know someone who hosted Sarah Ferguson at his house. And another friend was in a photo shoot with the Prime Minister when he came to town. 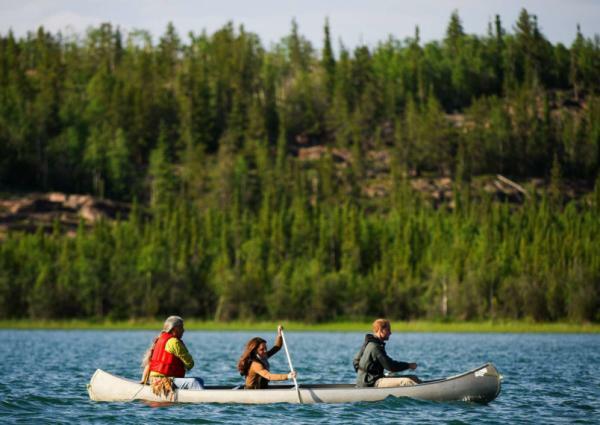 I know a pilot who flew the royals Kate and Will’s entourage on their honeymoon to Blachford Lodge, and then sat on a nearby rock while they went out canoeing. Can’t you just see me on this ship? I imagine most of Canada at least is aware of the search for the missing Franklin expedition. Its a compelling adventure story – the initial search for the Northwest Passage in 1845, ships frozen in the ice, then lost, a grieving widow, multiple searches over decades, a cache of bodies and weird artifacts, Inuit reports of crazed white men, and suspected cannibalism. The Canadian government has been searching for the missing ships for the past several years. And, wouldn’t you know it, a few days before I would have boarded the ship to go to Greenland, one of the two missing ships, the Erebus, was found. 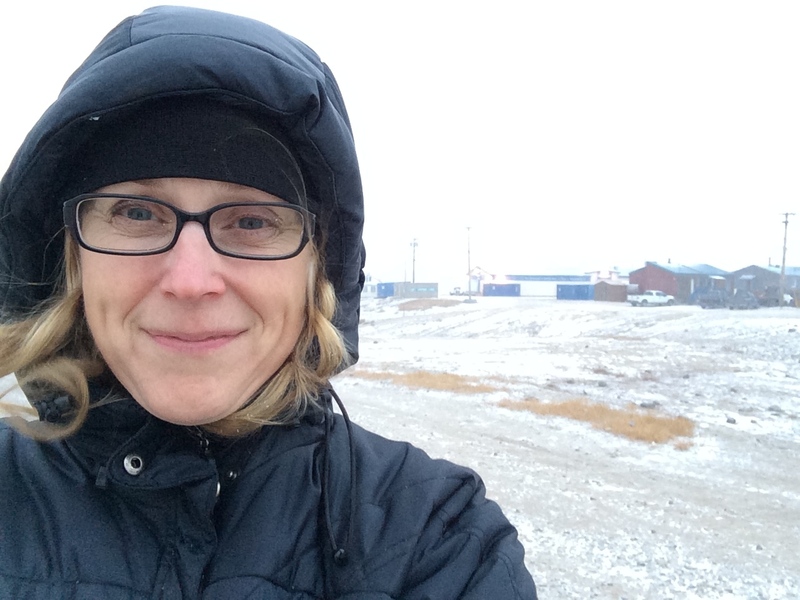 When I arrived in Gjoa Haven just a few days later, the small community was buzzing. 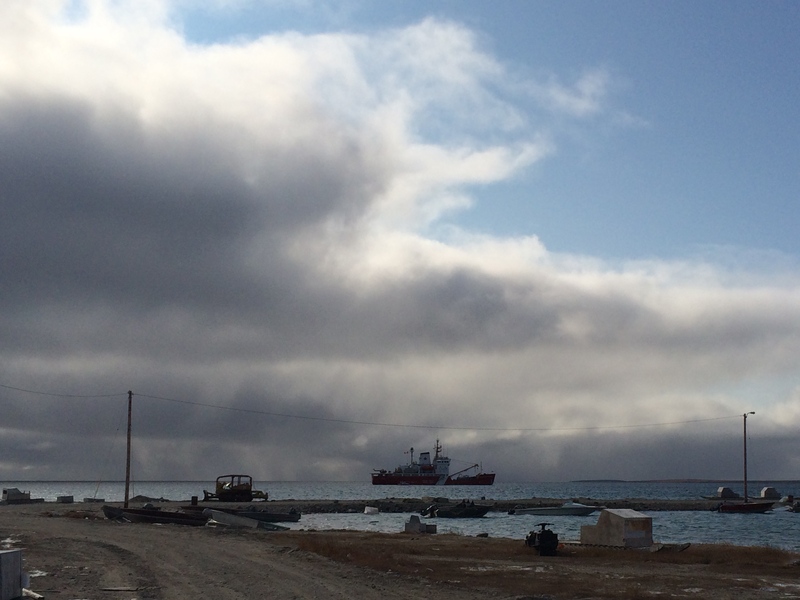 The coast guard ship The Wilfred Laurier was in town, anchored just off shore, very near to where Amundsen anchored his boat the Gjoa for two winters in 1903, just before he became the first man to finally sail the northwest passage. 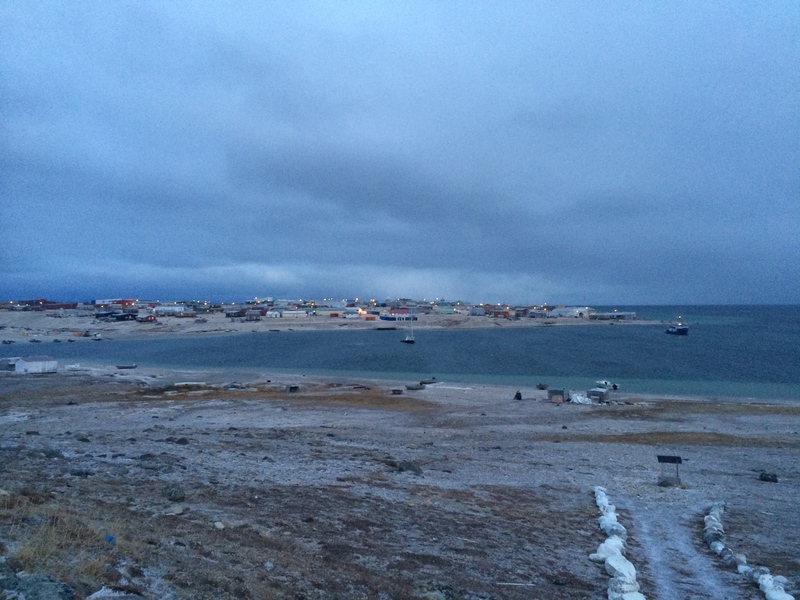 The hamlet of Gjoa Haven at dusk. But my favorite part of my visit was meeting Ben. Before I tell you about that, I should tell you a bit about staying in a northern hotel. Its not what you might expect. There is a chain of hotels across the high arctic, Inns of the North, and there is one in each town. Good thing too, because there is certainly no other accommodation options, if you don’t have a tent. The hotels can be as simple as an Atco trailer, or, as in the case of Gjoa Haven, a full sized hotel building, with several rooms and a dining room. One of the more hilarious aspects of staying in a northern hotel is that one doesn’t reserve, or pay for, a room. You only get the bed, and the management is free to give the other bed to someone else. (Martin and I thought the hotel rate in Pond Inlet really wasn’t too bad at $225 per night, but we didn’t know that was only for one of us.) I shared a room for one night with a lovely young lawyer on her regular court circuit through town and it wasn’t too bad at all. The dining room experience was fun too. The hotel proprietress decided where we would each sit, and introduced us to each other before the meal. I really enjoyed my evenings visiting and chatting with the various people staying at the hotel – a visiting social worker, construction workers building the new high school, a telephone line repairman in for a few days, and Ben. Turns out Ben was also on the Sergey Vavilov, along with Kurtis, when the lost ship was discovered. It was of course an exciting time for him, and all the more so as he was filming a documentary on the search for National Geographic. Now call me crazy, but few things get me as excited as the prospect of making a documentary film some day. I had a couple of nights to chat with him about his experience and his craft, and it was a wonderful time. 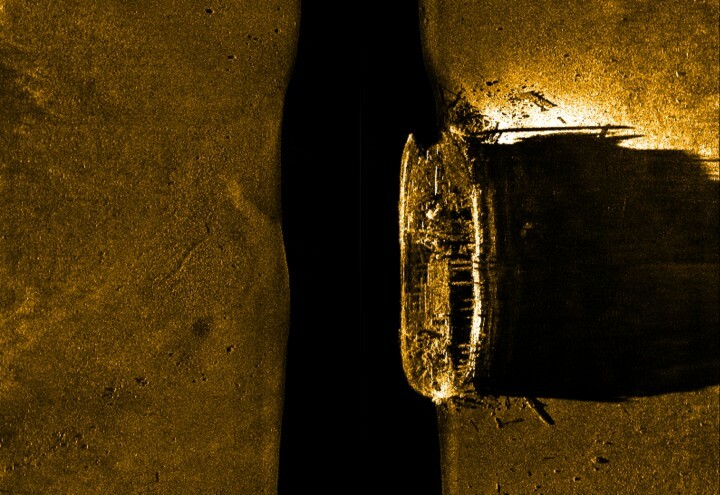 I heard more about what the expedition hopes to find aboard the ship – perhaps Franklin’s body itself, or the ship logs, apparently sealed in copper tubing. I look forward to seeing his film someday, and I wonder if another friend of mine, a composer, who creates sound tracks for National Geographic films, might also work on the project. The world is a very small place sometimes, and greatness seems everywhere. 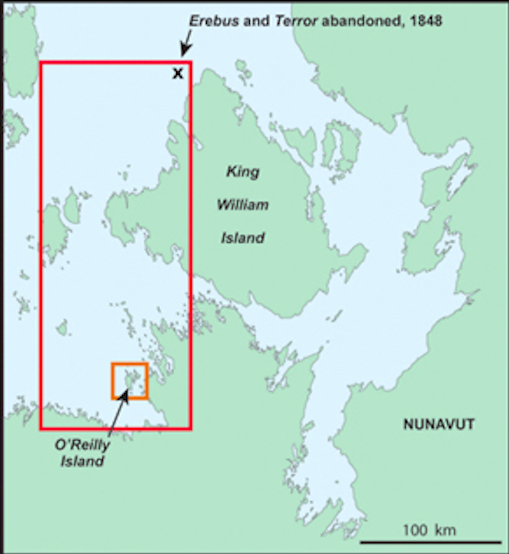 This entry was posted in North of 60, travel and adventure and tagged Erebus, Franklin expedition, Gjoa Haven, Inns of the North, King William Island, Northwest Passage, O'Reilly Island, Sergey Vavilov. Bookmark the permalink. Dear Tandi, YOU ARE LIVING OUT LOUD ! 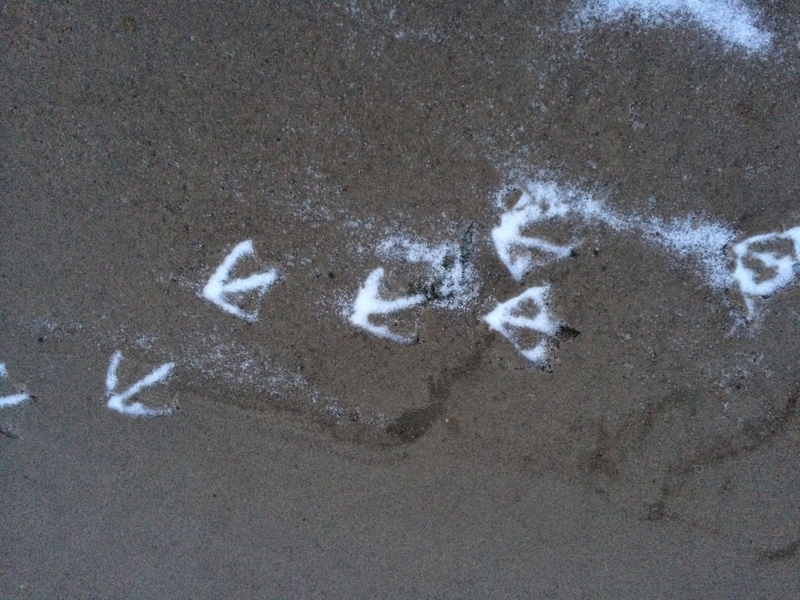 I appreciate your gorgeous photos and your thoughtful and very natural commentary. It feels like I am there with you. It is hard to describe how very important these missives are to me, living in the slow lane, now, taking care of Verne. Such an exciting life you lead Tandi! I am quite envious. The opportunity to see worlds which we only read about must be wonderful. The Northern hotels are unique. I remember the Alaska hotels from 40-50 years ago. They were pretty rustic too. We all are fortunate to have such a good dragoman leading us into these wild places. Thanks Tandi. Its my pleasure Kayti, and thank you for reading my blog. How fun that we’ve met this way.